The STEMarts Lab is a Research and Innovation project that applies the latest science research and technological innovations to arts and education through interdisciplinary collaborations. We deliver real world sci-art installations and STEAM programming for schools, art and science organizations, festivals or events. We prioritize intercultural exchange and collaboration and design culturally responsive programming. We are guided by ‘21st century thinking’ with a focus on inner well-being, ethics and social practice toward a peaceful and sustainable future. We investigate the latest science research and cutting edge technologies to inform our design practice and curricula for our future leaders. We are committed to closing the gap between the “knowledge rich” and “knowledge poor” which can lead to economic disparity. We focus on community outreach to make STEAM programming accessible to underrepresented minorities and girls. Workshop participants must be representative of the socio-economic and cultural diversity of the community they serve. We are engaged in the transition from being passive consumers of technology to problem solvers and critical thinkers, investigating the social, environmental and global impact of the tools we are using. The STEMarts Education Model is based on carefully designed media-rich workshops, hands-on demos or community interventions built on instruction with four design pillars that revolve around the core principle that all content must make a connection to self, society and our place in the universe as a whole.  (1) New Media Arts and Social Practice. Students engage with new media and social practice as a genre that invites collaboration with individuals, communities, and institutions in the creation of participatory and experiential art. Students explore art as process and ‘way of knowing’ in parallel and intersecting with the scientific way of knowing. We explore the latest digital ‘maker’ tools to engage and inspire art with social purpose. Through virtual and real collaboration with interdisciplinary experts and creative applications, students explore complex science concepts. The goal is to a) expand students’ understanding of who we are, where we come from and our place in the universe, with a focus on particle physics in what is now called the Golden Age of Cosmology and b) demonstrate the personal, social and global impact of science applications on their lives, while empowering them to be global citizens and caretakers of the planet. Projects are aligned with the Next Generation Science Standards, National Art Standards and Common Core. 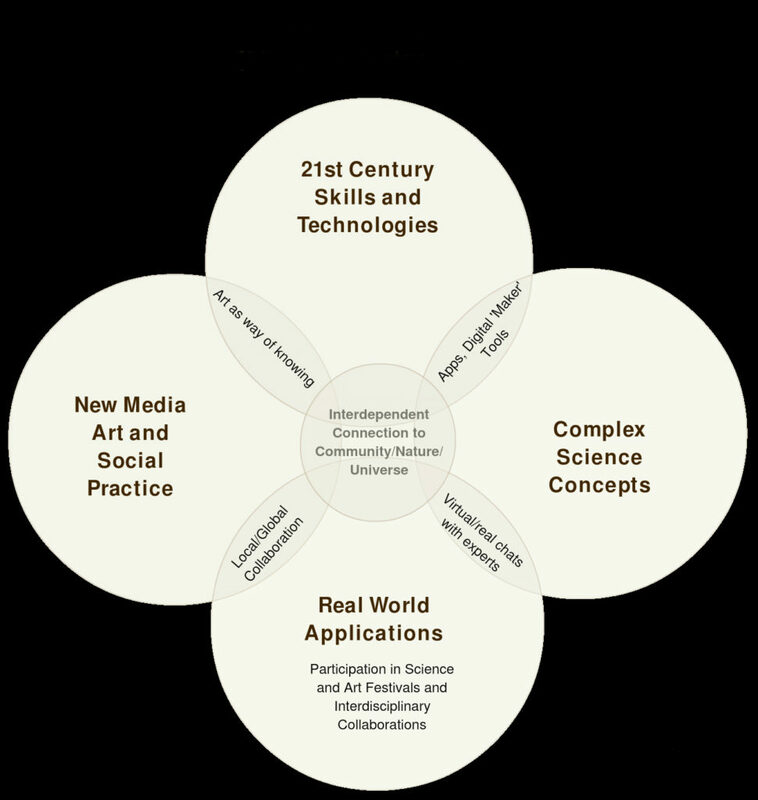 (3) 21st Century Skills and Technology. Students learn to harness their creativity and develop critical thinking and innovation skills around interdisciplinary and humanitarian topics of interest. Through this process they get access to cutting edge technologies that peak their curiosity and blur the boundaries between science and art. Students learn valuable new tools that build job skills for the global workforce. Activities are aligned with Partnership for 21st Century Standards (P21). (4) Real World Application and Collaboration. The work created through the program always has a connection to the real world, whether in their local community or through an international project. Students experience real world learning and community activism through participation in art and science festivals and local/global projects; real and virtual.